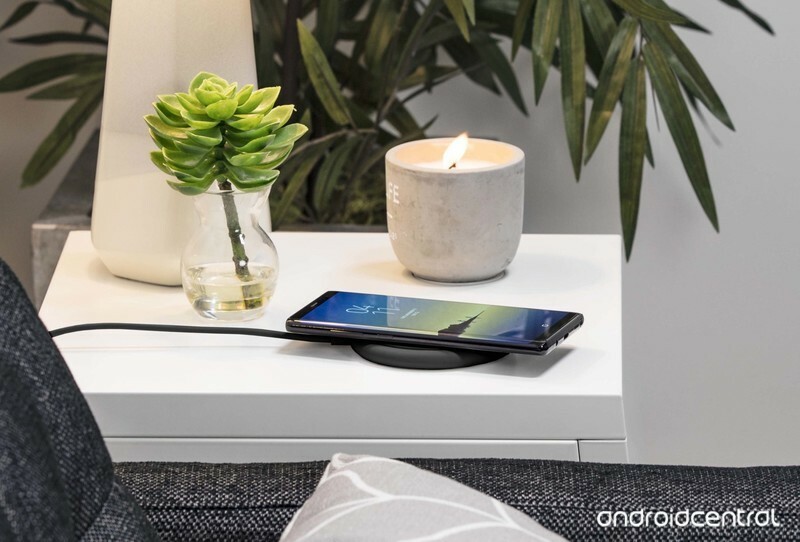 Wireless charging has been a reality since 2015 when Samsung first introduced the technology as a basic option with the Galaxy S6 and S6 edge. Since then, Qi wireless charging has achieved mainstream consumer adoption and is now found in most of today’s popular smartphones. Charging stations have also infiltrated airports, public venues, office buildings, restaurants, hotels, and even cars. Why is this important? As smartphone technology improves, consumers get faster processors, crisper displays, and increased storage. But these advancements all tax the same resource— battery life —which, for most people, continues to be one of the most important aspects of a smartphone. 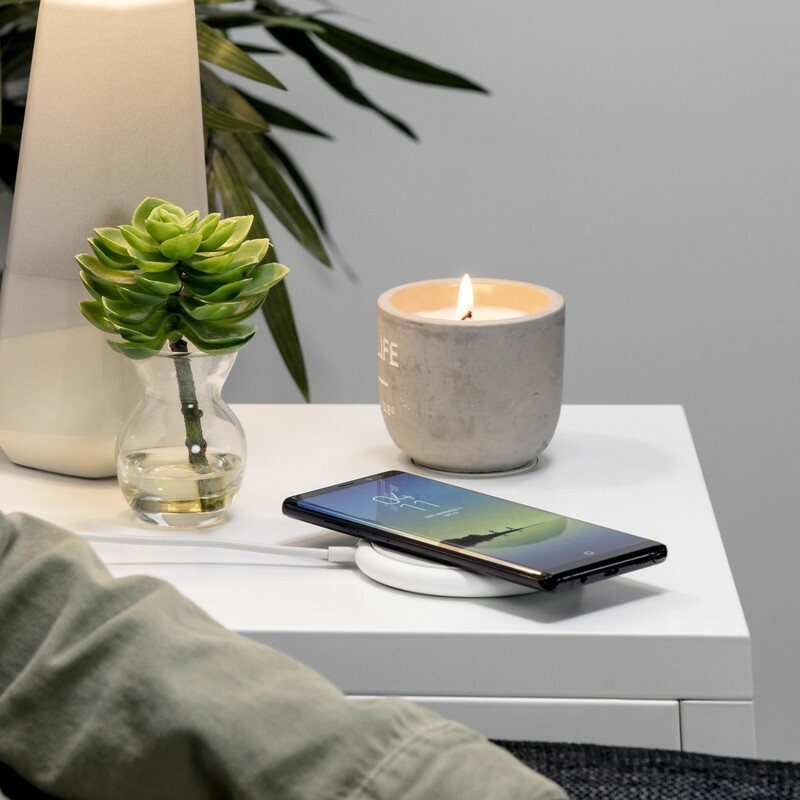 As a leader in portable power and wireless charging, Mophie’s charge stream pad+ delivers the optimal amount of power to both Samsung and Apple Qi-enabled devices for a quick and easy fast charge experience. Charging begins the moment you set your phone on the pad. The charge stream pad+ even charges through cases up to 3mm thick. Wireless charging has never been this easy or this fast. Mophie’s approach to wireless charging makes plug-in charging obsolete. If you’re exhausted at the end of the day, just place your phone on the charge stream pad+ on your nightstand or do the same to top off your battery throughout the day. No need to plug in any cords. The high-tolerance components operate in silence, so you can continue with your day or charge throughout the night without distractions. And the low-profile design fits any environment perfectly, whether you choose to charge at home or at the office. The charge stream pad+ is powered by an impressive 12 volts at 1.5 amps and it comes with a QC 2.0-compatible wireless adapter and a 1.5-meter Micro-USB cable. It has a clean, streamlined style with a soft-touch finish. Its rubberized non-slip pad protects phones from scratches and provides a stable surface to quickly charge. Its lightweight, compact design travels well, so you can charge while on the road. Foreign object detection also communicates with your phone, ensuring that power is only sent to compatible wireless devices. The Mophie charge stream pad+ is compatible with Apple, Samsung, and most Qi-enabled phones. With an impressive 5W/7.5W/10W output (universal/Apple/Samsung adaptive fast charge respectively), it’s perfect for people with mobile lives who don’t have time to fuss with cables or wait around for a charge.